If you create something good enough, you can bank on someone ripping it off -- you make Legos, they make Duplos, you make Ferris Bueller's Day Off, they make Parker Lewis Can't Lose, you make Babe: Pig In the City, they make Rosanne. 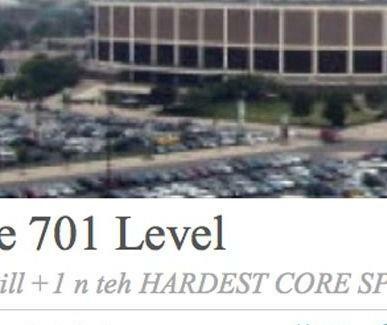 Taking inspiration from seminal Philly sports blog the700level, then going...somewhere: the701level. 701's updated on a semi-regular basis and, because it's what people with websites do, they're selling shirts with their catchphrases of "HARDEST CORE" and "Sprots" on them, which Rosanne will hopefully never, ever, ever rip off.